From remembering to turn off a light to purchasing an electric car, psychology researchers are examining individuals’ proenvironmental behaviors to gain insight into how people become environmentally responsible citizens. Building on previous work, researchers Gary W. Evans and Siegmar Otto of Cornell University, and Florian G. Kaiser of Otto von Guericke University, Magdeburg wanted to explore the early contributors that have a lasting influence on proenvironmental behavior into young adulthood. People who hold progressive political values and attain higher levels of education tend to be more inclined toward proenvironmental behavior. 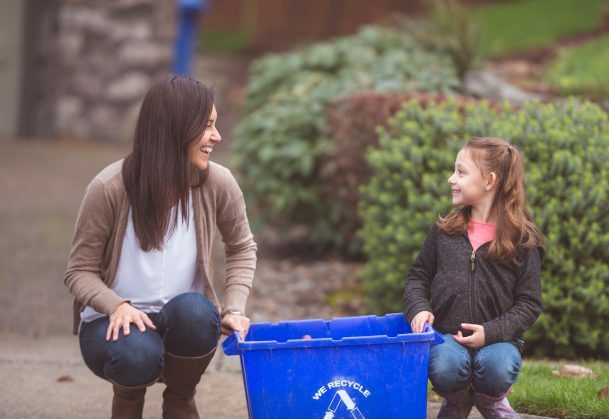 Previous research has also shown that parents’ eco-friendly behaviors, especially easily observable ones such as recycling, have an impact on the environmentally responsible behavior of their children. But what kind of effects do these early experiences have on children’s behaviors and attitudes as they age into adulthood? Evans and colleagues recruited 99 children and their mothers from a rural and suburban area of the Northeast United States to participate in a 12-year longitudinal study, which tracked the children from ages 6 to 18. When the children were 6 years old, the researchers assessed both the mothers’ and children’s proenvironmental behaviors and attitudes. Mothers completed the New Environmental Paradigm (NEP), a self-report measure of environmental attitudes, and the General Ecological Behavior (GEB) scale. The 6-year-olds completed modified versions of the NEP and GEB that used interactive games and pictures. The researchers also measured how much time the children spent outdoors and they collected data on mothers’ political ideology and educational attainment. At age 18, 74 of the children returned to complete the second round of data collection. The young adults completed the same versions of the NEP and GEB scale that their mothers completed 12 years before. The longitudinal data showed that individuals whose mothers had more proenvironmental attitudes demonstrated more proenvironmental behaviors themselves as young adults. Mothers’ educational attainment was also found to be an influential factor, although the researchers point out that there was low variance in the mothers’ level of education, as most had some post-college education and very few were high school dropouts. As in past research, children who spent more time outdoors tended to report more environmentally responsible behavior and attitudes as adults. Evans and colleagues suggest that future studies should investigate whether different types of activities, such as fishing in wild nature versus gardening in the domestic outdoors, have divergent effects. Interestingly, children’s environmental attitudes and behaviors at age 6 did not predict their behavior at 18. This could be due to potential methodological issues with the modified childhood measures, but another possibility, the researchers note, is that it simply takes time for these attitudes and behaviors to become stable. Identifying early contributors to later environmentally responsible behaviors is a critical step in creating interventions, policies, and other strategies to improve these behaviors on a local, regional, and global scale.